Addressing future moral challenges will require new human capacities, capacities that before now we could not have fully understood, much less applied. In part this is because we will be confronted by new kinds of moral questions—for example, those that follow from the need to manage the often two-edged implications of new technologies and the frequently confusing and overwhelming complexities of our increasingly globalized world. But the reason is ultimately deeper. Changes are taking place in what moral questions of every sort are asking of us. These changes affect what it means to make effective decisions in every part of our lives. The concept of Cultural Maturity helps us make sense of these changes. Most people, today, think about morally-charged concerns such as gender, racism, capital punishment, or abortion quite differently today than they did but a few decades ago. The concept describes how what we are seeing is predicted and represents only a beginning. It also describes how any kind of future we would want to live in depends on recognizing the importance of new moral capacities and learning to put them into practice. It is helpful to think about what is becoming different in a couple of steps. These two steps are not ultimately separate—in the end, they are products of the same change process. But because each requires careful consideration to fully grasp, I will take them one at a time. Following these big-picture reflections, I will describe four specific new human capacities that effectively addressing moral questions will increasingly require. The first step turns our attention today’s marked weakening of traditional moral guideposts. Prior to now in history, culture has provided us with reliable moral absolutes. Today, the sources of such clear guidance, from unquestioned national and ethnic allegiances to once-and-for-all religious beliefs, are losing their historical power. This loss is of immense consequence. Moral absolutes have provided our rules to live by and, in the process, a sense of identity and connectedness with others. Cultural absolutes have also protected us from truths that would have been beyond us to tolerate—the depths of life’s uncertainties, limits to what may actually be possible, and in general how complex things can be. Given the great significance of this weakening of absolutes, it is important that we understand why we are seeing it. Contrasting interpretations can get highly charged. People of more conservative bent tend to view it negatively, as a loss of social order—or worse as a sign of impending moral chaos. More liberal types are most apt to think of it positively, as an expression of new freedom, evidence of liberation from past constraining rules. Academics tend to view today’s loss of past cultural guideposts more neutrally, as a reflection of a new “postmodern” cultural narrative. This interpretation at least helps us get beyond moralizing about moralizing. It also helps us begin to frame the new task. It highlights how today’s changes are putting responsibility for making moral choices more directly in our individual human hands. The concept of Cultural Maturity paints a larger picture that helps explain this loss of absolutes and begins to clarify why interpreting it positively may be warranted. The concept describes how culture has functioned historically like a parent to the lives of individuals (see Culture as Parent). Providing clear moral rules was central to this past parental function. The concept also describes how our times are requiring—and making possible—a next, more “grown up” chapter in our human story. With Cultural Maturity, our past need for moral absolutes gradually falls away. We begin to be able to hold the realities of cultural authority and individual identity more systemically, recognize how they represent elements of a larger picture. One result is the need to take greater moral responsibility that the postmodern interpretation describes. Another is that this greater responsibility can be understood as an expression of appropriate and timely development. The second step turns more specifically to needed to new skills and capacities. If we are to assume that greater responsibility and do so in a way that gets beyond the postmodern conundrum, we need to think and act in new ways. This second step is also addressed by the concept of Cultural Maturity. Cultural Maturity helps us engage ourselves more deeply when making moral choices, get more directly at what for us makes a choice moral. It also makes possible new kinds of conceptual tools that can helps us make our way in this more demanding and dynamic kind of moral landscape. The key to this second step is how Cultural Maturity alters not just what we think, but how we think—it involves specific cognitive changes (see cultural maturity’s cognitive reordering). These cognitive changes help us better step back from our human complexities. They also help us confront those complexities in deeper and more complete ways. Creative Systems Theory calls the result Integrative Meta-perspective. Integrative Meta-perspective makes needed new skills and capacities an option—and obviously necessary. We come to experience them as common sense (see Common Sense 2.0). Below I’ve described four such needed new capacities. Each involves beginning to address moral questions in more encompassing ways. That means better including all the important pieces. It also means leaning to think in ways that get more directly at what makes any act or thought moral. #1 — Getting beyond moral polarization—the fact of “competing goods.” We tend to assume that moral quandaries require us to distinguish right from wrong. But this, in fact, is rarely the case. Rather they challenge us to choose in the face of competing goods. When a decision can be reduced to right versus wrong, we are unlikely to experience it as a quandary. The best choice will seem self-evident (most people won’t recognize that anything needs deciding). A couple of contemporary issues provide illustration: The abortion debate tends to reduce quickly to shrill advocacy. But it is very much about competing goods—the sanctity of life on one hand and the choice of the mother on the other. Immigration—a more collective moral quandary that commonly generates extreme positions—similarly juxtaposes ultimately commendable values. It is true that immigration responds to needs that any compassionate person should feel moved by. It has also historically supported vibrant societies. But it is also correct that people who have worked—perhaps for generations—to create institutions and economies should not be forced to make the rewards of those efforts freely available to anyone who might desire them (boundaries have a legitimate function). We are left with an essential question: If it is is true that moral quandaries juxtapose competing goods, why do moral questions commonly get reduced to polarized, good-versus-evil arguments? In fact we commonly turn all sorts of questions into moral debates that might initially seem not to be about morality at all—witness partisan pettiness in the political arena. Creative Systems Theory describes how our minds are wired to respond in this way. It also clarifies how this kind of response has served us. Reducing systemic challenges to simple either/ors has dramatically lessoned the complexity and uncertainty that we have had to deal with. But if the concept of Cultural Maturity is correct, this kind of simplification will prove less and less helpful—and necessary—going forward. 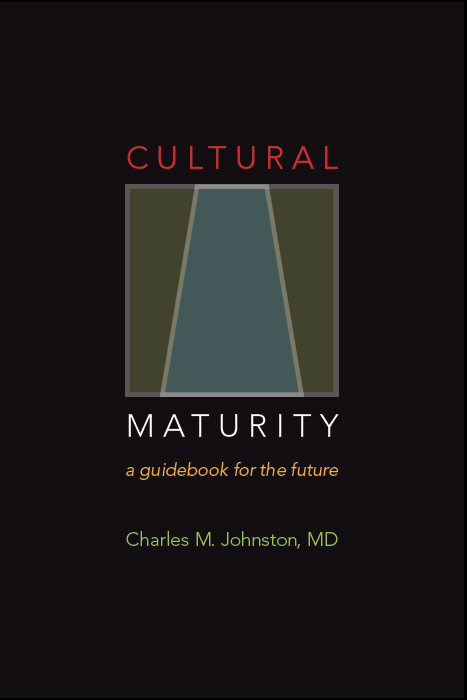 Cultural Maturity’s cognitive changes let us address a more systemically complete picture. With Integrative Meta-perspective, we are better able to step back from the full complexity of what we encounter. We are also able to more deeply appreciate each dimension of that complexity. It becomes newly possible both to tolerate the fact that multiple elements interplay within moral quandaries and to make sense of just how they do. In suggesting that we need to get beyond framing moral distinctions in polarized, good-versus-evil terms, I am not at all arguing against taking strong moral stands. In fact, Cultural Maturity specifically encourages us to take moral stands. It also supports us in doing so. Engaging moral questions systemically provides the perspective needed to take moral stands confidently and to do so in ways that will support the greatest good going forward. #2—Recognizing how questions of all sorts are ultimately moral concerns. The second new capacity in a different way reflects the importance of more encompassing perspective. In times past, only certain kinds of concerns were thought of as moral. Culturally mature perspective’s more systemic vantage helps us appreciate how questions of all sorts are questions of value, and thus moral in their implications. This change affects not just personal moral choices, but also moral concerns we must address together. We better recognize, for example, how domains we’ve before thought of as “value free”—such as business and science—reflect values just as much as domains such as religion or politics where choices are more obviously value-laden. With Wall Street’s role in the recent financial collapse, we were confronted by how critical it is to recognize—and question when necessary—values that have been common in business (see Money as Ideology ). We appreciate something related for science with the growing recognition that future human well-being will depend as much on the maturity needed to use invention wisely is it will be on the particulars of what we might invent (see The Seven Questions on Which Our Future Most Depends). #3 — Learning to think directly in terms of whether a thought or act is “life-enhancing.” The third new capacity is implied in each of the first two. Without culturally-specific guideposts, we need to address moral questions more directly. I’ve described how the needed new responsibility is not just for making necessary decisions, but for reaching deeply into ourselves to determine on just what we should base our choices. If our choices are to reflect anything more than postmodern “anything goes” thinking, this is something we must learn how to do. This observation leaves us with another essential question: If the task with these reflections is not to choose right over wrong (as I suggested earlier in emphasizing the fact of competing goods), just what is it? What is the distinction we want to make? Culturally mature perspective suggests that what we ultimately want to determine is the degree an act enhances life. This conclusion requires that we expand how we customarily use language (for example, how we relate to life’s opposite—death—is a pertinent consideration. But, in the end, the degree to which an act is life-enhancing is what moral truth has always been about. Culturally-specific moral dictates have provided shared, one-size-fits-all shorthands for this kind of determination. With Cultural Maturity’s changes it becomes increasingly possible to set shorthands aside. Culturally mature perspective lets us hink more directly in terms of what makes an act moral. We become better able to take into account all that is involved and to articulate where our considerations take us in more whole-ball-of-wax terms. A few examples where this more embracing kind of determination is becoming newly pertinent: A rewarding life as a man or a woman, today, requires more than just a willingness to question past gender dictates. In addition, it demands a new, more direct relationship to ourselves as complex, gendered beings. Similarly, success in love has come to require more than just confronting past assumptions and allowing the possibility of new options. It demands a new and deeper appreciation for the needs that love fulfills (companionship, intimate bonds, parental cooperation, and so on). In a related way, a fulfilling sense of identity requires not just that we question past cultural expectations. In addition, we must draw on a more personal and complete relationship to the question of what for us creates worth. With each of these examples the task is the same. We need, first, to be attentive to all the factors that may be pertinent. Then, from this more encompassing vantage, we need to take our best shot at choosing the most life-enhancing way forward. Cultural Maturity’s cognitive changes make it newly possible to engage in this at once more personal and more sophisticated kind of determination. #4—Recognizing that moral choice always happens in a context. The fourth kind of new capacity even more explicitly takes us beyond postmodern arbitrariness. While moral relativity of the postmodern, “anything goes” sort is a dangerous trap, the recognition that good moral choices are alway context-dependent could not be more important. It is also a new kind of recognition, one that requires culturally mature perspective to fully appreciate and put into practice. Moral dictates of times past were thought of as eternal—once-and-for-all. They were also thought to apply in exactly the same way to everyone—they were one-size-fits-all rules. Culturally mature perspective helps us appreciate that what makes an act life-affirming may be very different depending on its time and place. It also makes possible specific tools for making needed, more context-specific distinctions. The Golden Rule—“Do unto others as you would have them do unto you”—is a remarkably reliable guide for making moral choices. But when we step over Cultural Maturity’s threshold, we are quickly confronted by how the Golden Rule’s usefulness ultimately depends on context. It is inescapably true that different people want different things “done unto them”—as a function of cultural stage, upbringing, personality style, and more. Some of morality’s relativities are temporal. They relate to the fact that what is going to be most life-affirming is relative in time. Of particular importance, it is relative in developmental time. For example, we don’t have the same expectations of a child that we do of an adolescent, or of an adolescent that we do of an adult. If we miss how this is so, we can easily act in ways that violate those we most care about. This same kind of temporal relativity plays out culturally. It takes an understanding of cultural stage differences, for example, if we are to fully appreciate why a muslim woman might find it preferable to wear the hijab (see Rethinking Wage Inequality—Some Surprising (and Controversial) Consequences When We Better Appreciate the Archetypally Feminine.). Making sense of the moral implications of cultural stage differences is becoming increasingly critical when it comes to questions of global policy. For example, we need to better recognize how different kinds of governance tend to work best at different cultural stages. Miss this fact and the result can be dangerously misguided actions—as we witnessed with well-intended, but often premature attempts by the West to promote Western-style democratic rule following the Arab Spring in the Middle East (see Seeking Effective Middle East Policy). Other aspects of morality’s relativity are of a more here-and-now sort. I’m particularly aware of how this kind of contextual relativity plays out with temperament—with personality style differences. The Creative Systems Personality Typology describes the profoundly different ways the world looks through the eyes of people with contrasting personality styles. In my work as a therapist with couples, I’ve been struck by how often people with very different temperaments today become partners. (We’ve always recognized that opposites can attract, but in the past this was most often opposites within the same general personality type). Such “mixed-type” connecting can be great—and reflects Cultural Maturity’s changes. But it only works to the degree differences in what people like “done unto them’ are understood and respected. In my work as a consultant to organizations, I see a similar new recognition of the value of bringing a greater diversity of people on board—a further expected result of Cultural Maturity’s changes. But again, this greater diversity can serve us only if it is effectively understood and differences effectively honored. 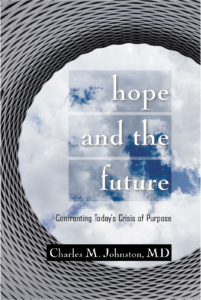 The future is demanding—and making possible—a new moral maturity. This greater moral maturity involves taking greater personal and collective responsibility in our choices. It also requires engaging what makes a choice moral more directly and applying new kinds of conceptual tools that can help us make needed, more nuanced distinctions. All these things become newly possible with Cultural Maturity’s cognitive changes and the more systemic view of the world that results. There is a way in which this new moral reality makes moral choices, if not simpler, at the least more straightforward. The same detailed knowledge of culture-specific social mores is not so necessary. And at the same time, the moral challenge becomes much greater. The needed new capacities demand that we hold reality in ways that necessarily stretch us—in ways that are more inclusive and complete. And the distinctions that Cultural Maturity’s changes make possible demand a level of sophistication that before now would not have made sense to us. But however great the challenge, taking it on will be essential going forward. The Dilemma of Trajectory, a key concept within Creative Systems Theory, argues that continuing to be moral creatures at all depends on those changes. Earlier posts have in different ways supported this conclusion. I’ve proposed that addressing concerns about artificial intelligence voiced by respected scientists requires appreciating the moral underpinnings of human intelligence (see The Key to Artificial Intelligence Not Being the End of Us). I’ve also described how each of the the most common ways of thinking about the future leave us ultimately unable to address the increasingly value-centered questions that will ultimately define our future well-being (see What Cultural Maturity is Not #1: Techno-utopian Delusions, What Cultural Maturity is Not #2: Postmodern Pseudo-significance, What Cultural Maturity is Not #3: Confusing Spiritual Ideology With the Future’s Needed “Growing Up,” and Seven Questions on Which Our Future Depends).